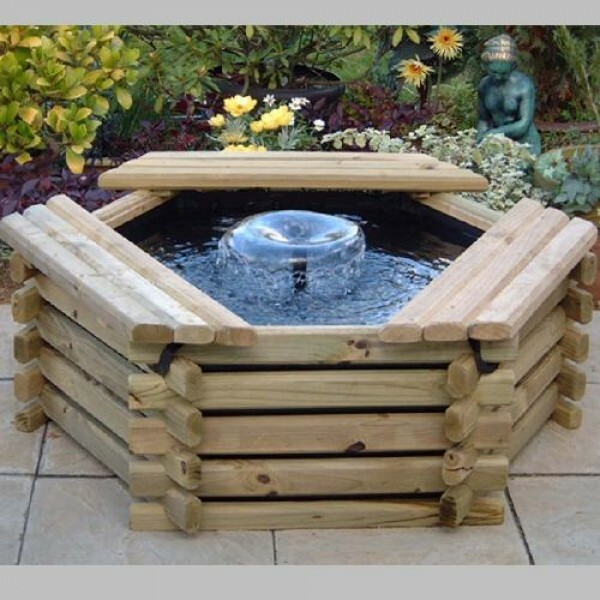 Here is an attractive way to create a self contained raised pond for use on your patio, decking or anywhere in your garden in minutes! 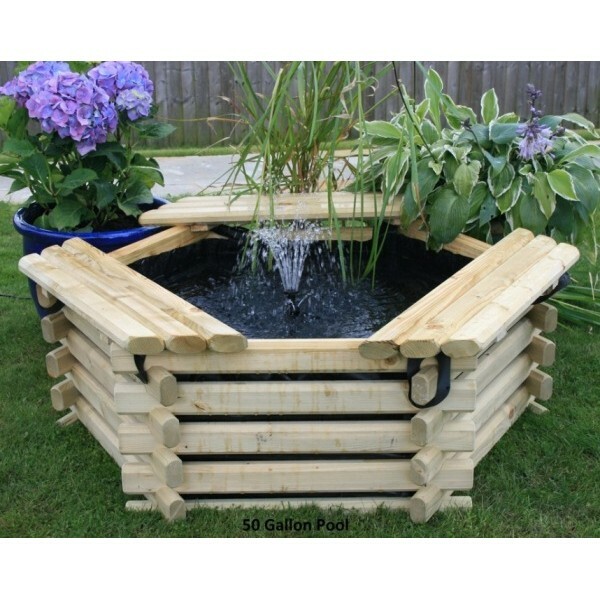 This 50 gallon pond design is unique in that the slot together assembly requires no skill and can be completed in under 20 minutes. The 50 Gallon Pond is large enough for up to 8 goldfish or other small fish, however is not suitable for Koi. To add a decorative fountain to this pond, we recommend the optional Pondtec 750 Pond Pump.